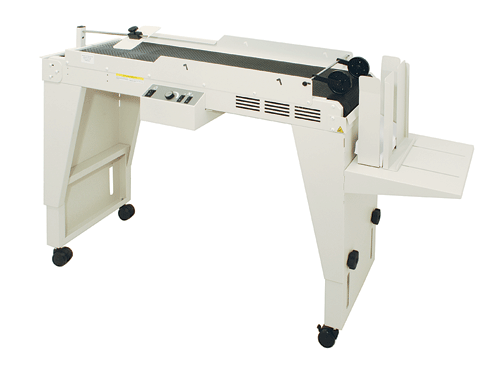 Formax FD 4040 and FD 4060 Drop-Stacking Conveyors are commonly run in-line with various brands of inkjet addressing systems. 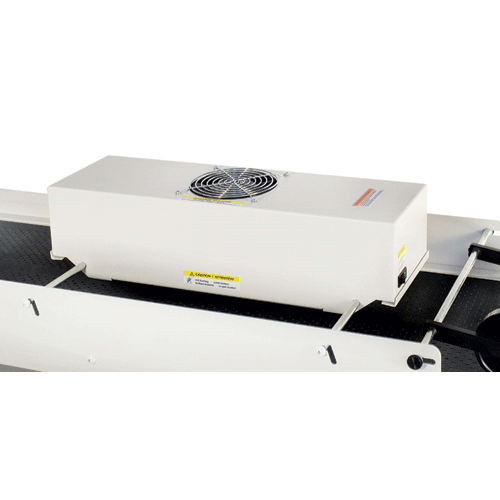 Utilizing internal vacuum fans at the infeed, the offer high-speed transport up to 350 feet/minute. 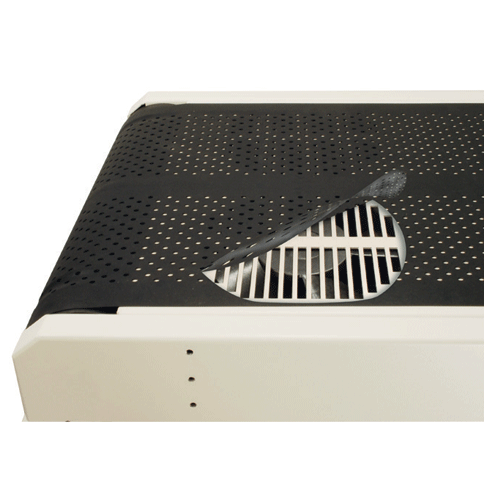 These dual high-suction fans are located under the perforated belt, and pull media down onto the conveyor. 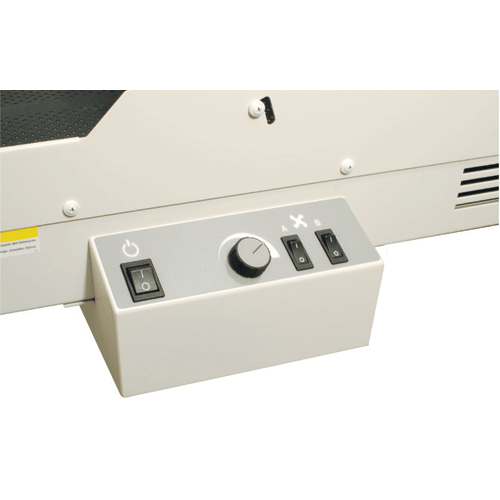 The FD 4040 and FD 4060 each feature a patent-pending reversible control panel module which can be rotated 180 degrees for left-to-right or right-to-left transport, offering greater flexibility in workflow and equipment configuration. 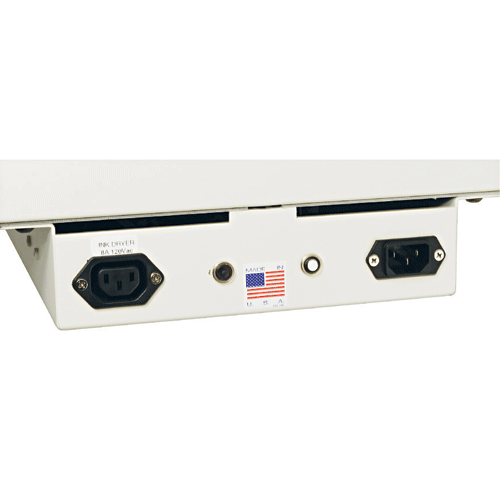 IEC receptacles are integrated into the control panel providing safe, convenient power for an optional infrared dryer. Each model has adjustable height legs up to 35" from the floor, as well as adjustable drop stack height from 5" - 11", and each is proudly made in the USA.